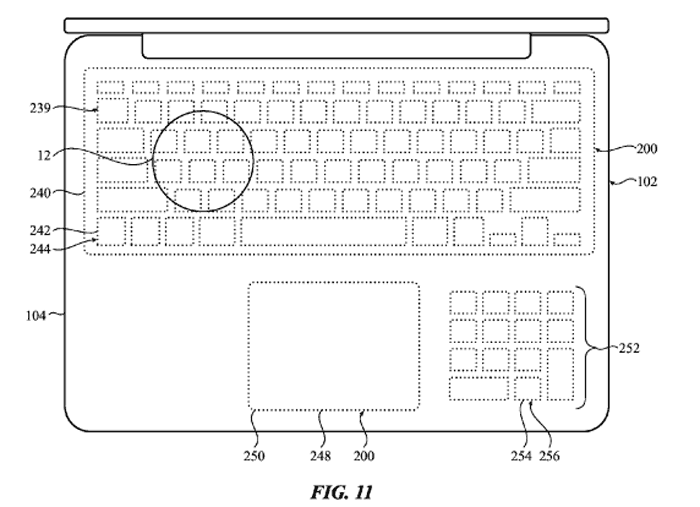 Apple to swap MacBook keyboard with Force Touch input structure? 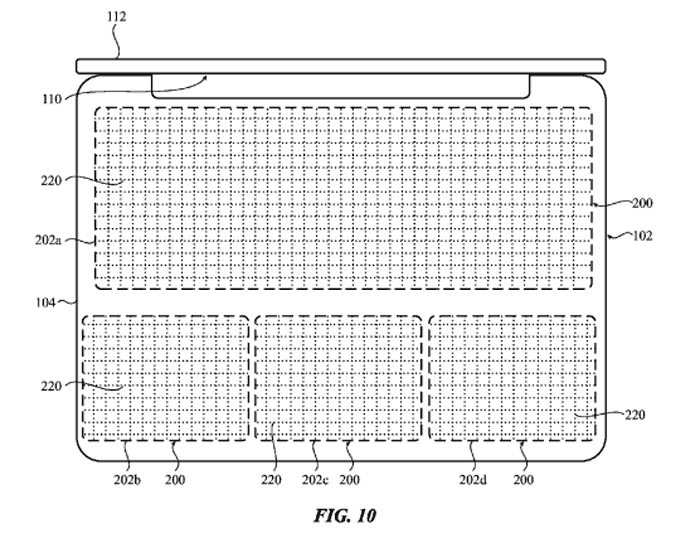 Apple is looking at replacing the MacBook keyboard and touchpad area with a single large "force-sensitive input structure," reveals a recently unearthed patent. Think of it this way; you open your clamshell laptop and the lower surface, where you traditionally had a keyboard, touchpad and palm rest areas, there is now a customisable input surface. Tiny perforations in the surface combined with LEDs can create custom control layouts depending upon your application. It's an interesting concept but we must remember that many a patent application doesn't end up in a finished shipping product. While such a 'force-sensitive input structure' might offer a sub-optimal keyboard typing experience, Gizmodo headlined its story "Typing on a MacBook Could Soon Be as Awful as Typing on an iPad", it could offer excellent in-app interactivity. There's a lot of potential for enhancing expert application use and workflows from being able to simply provide a big numpad for maths and accountancy apps, to being able to provide sliders, dials and other switches and controls to photo editors, and music and video producers. The patent hints that control areas, such as the numpad, can be moved around to better suit the user (left handed users?). So, in a way, Apple will be providing MacBook users with a full configurable touch sensitive control area where there the keyboard and trackpad used to reside. However as it isn't a touchscreen it will not have such a heavy impact on battery life and weight of the laptop. As to how Apple could create a new custom 'force-sensitive input structure' for a music program, for example, we need only look at something like the Microsoft Surface Music Kit which we first saw back in 2013. That replaced a traditional keyboard/touchpad with audio controls, faders and hit-pads – however the layout wasn't configurable, it was just another expensive cover for your Surface. If this thing feels anywhere near as nice as the forcetouch trackpad on the new Macbook then they will be on to a winner in my books. The forcetouch is intuitive and comfortable - much more comfortable than a touchscreen but much more flexible than a keyboard. I'm sure it can translate well to a keyboard experience. There will be grumbles (and rightly so) from many people who prefer a traditional keyboard but I would welcome seeing a product like this. No they're not. It's just a patent. You know this. We know this, so why pretend? 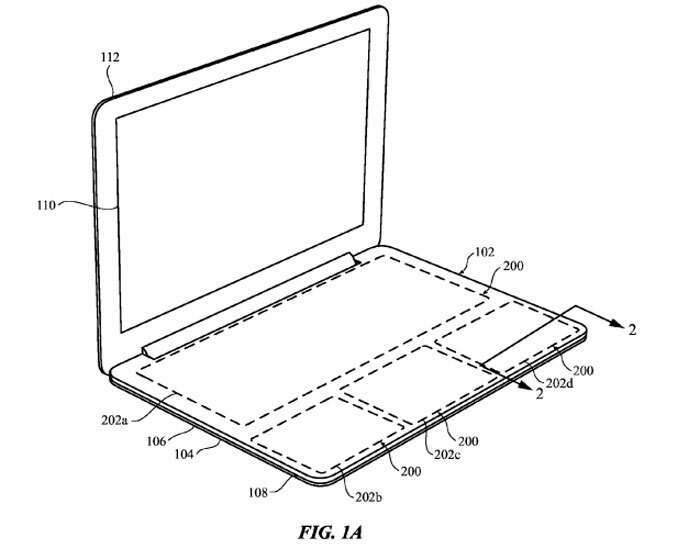 Or do you really think Apple wants to remove the keyboard from it's notebook range? Why else? Click bait! Seems to be Hexus' forte. I'm forced to use a Macbook pro at work, and I really, really, can't stand the regular mac keyboards, with their tiny key travel, missing keys, and complete lack of tactile indication as to where you are on the keyboard. Even their standard desktop wireless keyboard sacrifices size/keys/tactile differences to have a “clean” look. Sure… they look pretty, but mac seems to prefer to sacrifice functionality for pretty and light, so I don't think this is out of the realm of possibility. Even MS surface keyboards have pushed things in the touch direction, so it wouldn't surprise me at all if Apple was seriously considering this. yes and the last laptops with non tactile keyboard was so successful…..anyone remember the Acer Iconia and toshiba libretto w100?